Apart from the production-spec 752S, Benelli also took off the covers from the Leoncino 800 concept at the 2018 EICMA motorcycle show. 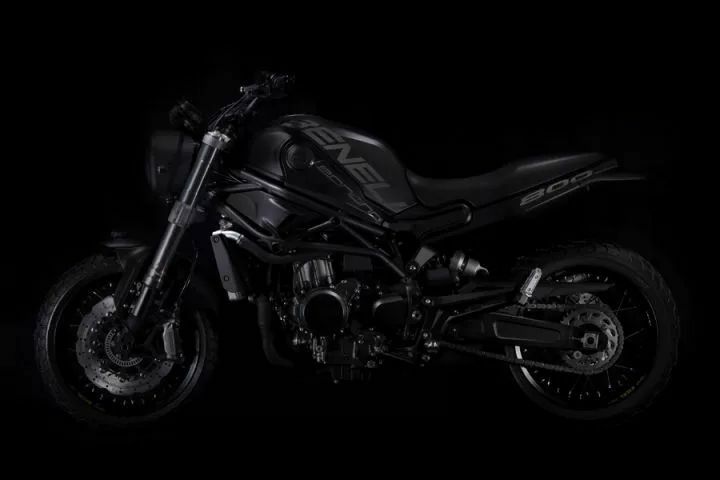 The motorcycle will be placed against scrambler motorcycles from Ducati and Triumph Motorcycles. Regular readers would know that Benelli already has a Leoncino 500 in its product portfolio that is expected to reach the Indian market very soon. While that is to happen, the Leoncino 800 concept gives us a glimpse of what to expect from the production-spec 750cc scrambler style motorcycle from Benelli. The production Benelli Leoncino 800 will not be too different from the concept motorcycle. 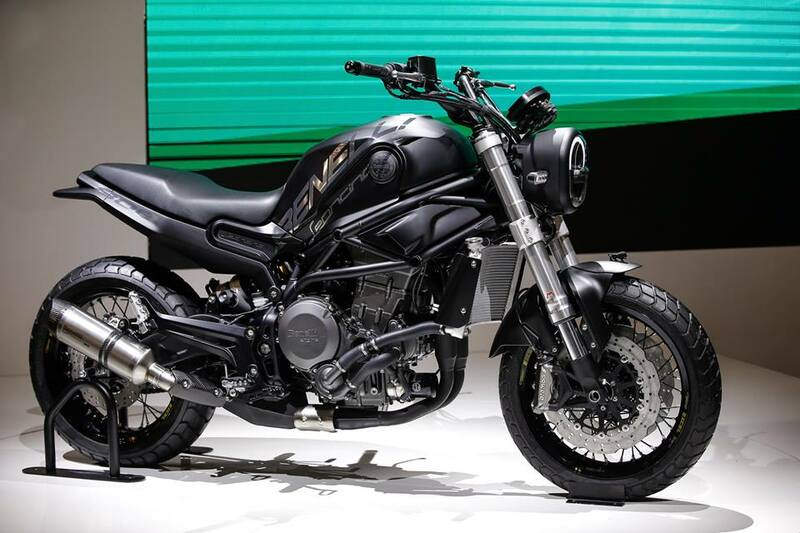 It will compete against the likes of Ducati Scrambler and Triumph Street Scrambler. The motorcycle packs retro-styling along with modern hardware and mild off-roading capabilities. The fascia includes a full LED headlight that is accompanied by LED blinkers. The headlamp shape on the concept is oval and it will most likely be retained on the production model. Behind the headlight is an all-digital instrument console that, unlike the retro-style circular pod on the Ducati Scrambler, features a modern design. The fuel tank shape is flat from the sides to offer better grip to the rider while off-roading. The set up is further enhanced by a lean design of the single-piece step up the saddle towards the rider end. Benelli Leoncino branding on the tank looks subtle, which makes it visually appealing. The rear of the concept motorcycle was equipped with a LED tail light while the blinkers and number plate were not installed. We would guess that the motorcycle, in its production form, will use the same set up that is seen on the Benelli Leoncino 500. The hardware list is at par with its rivals. Up front, upside down telescopic forks perform the suspension tasks while at the rear is a monoshock unit. We mentioned at the start of the post that the motorcycle will feature mild off-roading set up and that is evident front the low suspension travel which was seen on the concept. The final model may receive slightly longer travel. The wire-spoke wheels give the motorcycle a retro look but the 17-inch setup is ideal for on-road riding instead of the beaten path. Both wheels are wrapped in block type tyre pattern that is also seen on the Ducati Scrambler. The motorcycle is built around a new trellis frame that is NOT similar to the 752S. However, the Leoncino 800 will most likely use the same motor from the middleweight roadster. Thus, expect to see the same 750 cc, parallel-twin, 8-valve, liquid-cooled engine on the production version of the scrambler. The tuning might be slightly different from the roadster and the numbers may vary from the 752S’s 77 bhp of maximum power at 8,500 rpm and 67 Nm of peak torque at 6,500 rpm. The engine will be mated to a six-speed transmission. Stopping power will come from twin petal-type disc braked at the front and a single disc at the rear. The safety net of dual-channel ABS will come as standard. The Benelli Leoncino 800 Concept was equipped with a full-digital instrument console, upside down telescopic front forks, and dual disc brakes at the front. Benelli has aggressive plans for the Indian market and it would not be a big surprise to see the Leoncino 800 in the country. The production model of the Leoncino 800 is expected to be unveiled in 2019.